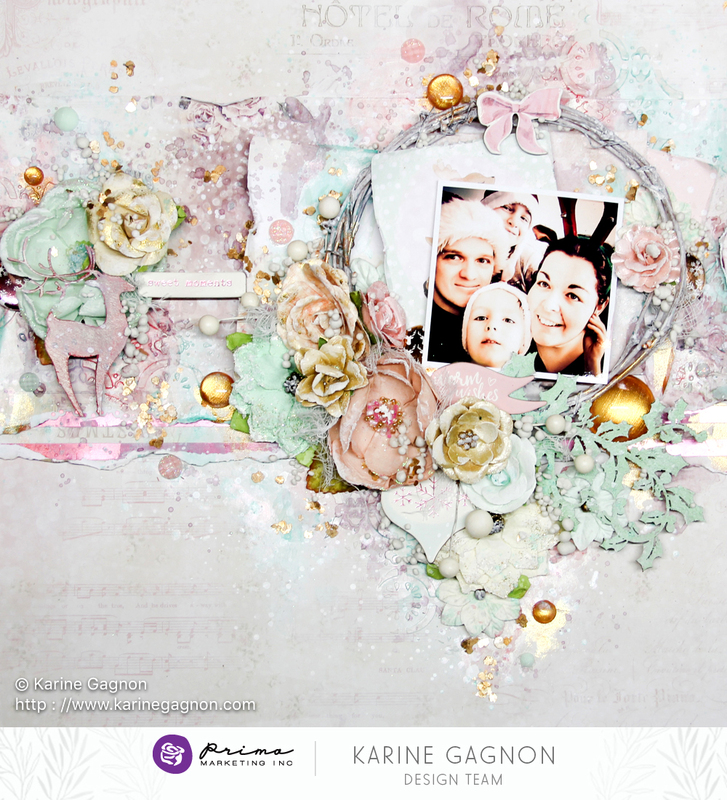 Santa Baby, a beautiful new line by Frank Garcia featuring the softest cool mint and sweetest blush pink tones, kissed with a touch of shiny pink foil. 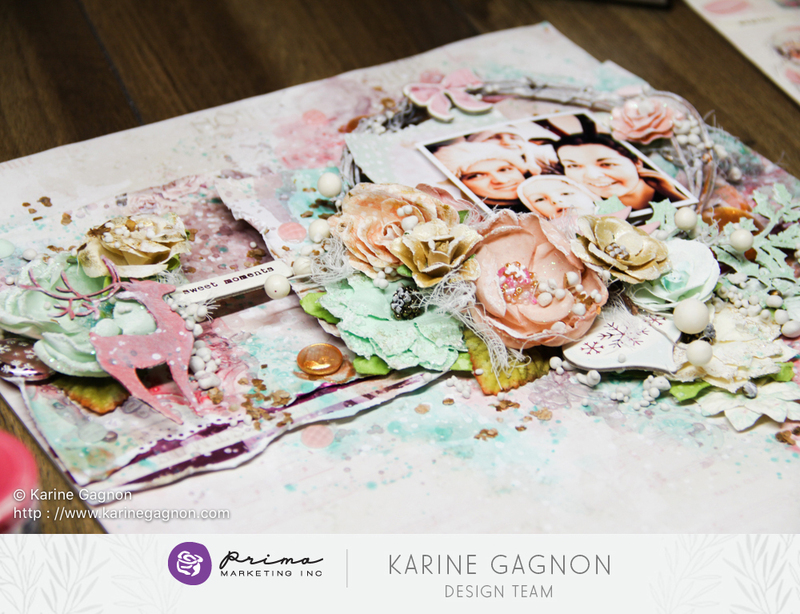 As beautiful as the collection is, the whole line comes to life when you see gorgeous projects created with it! 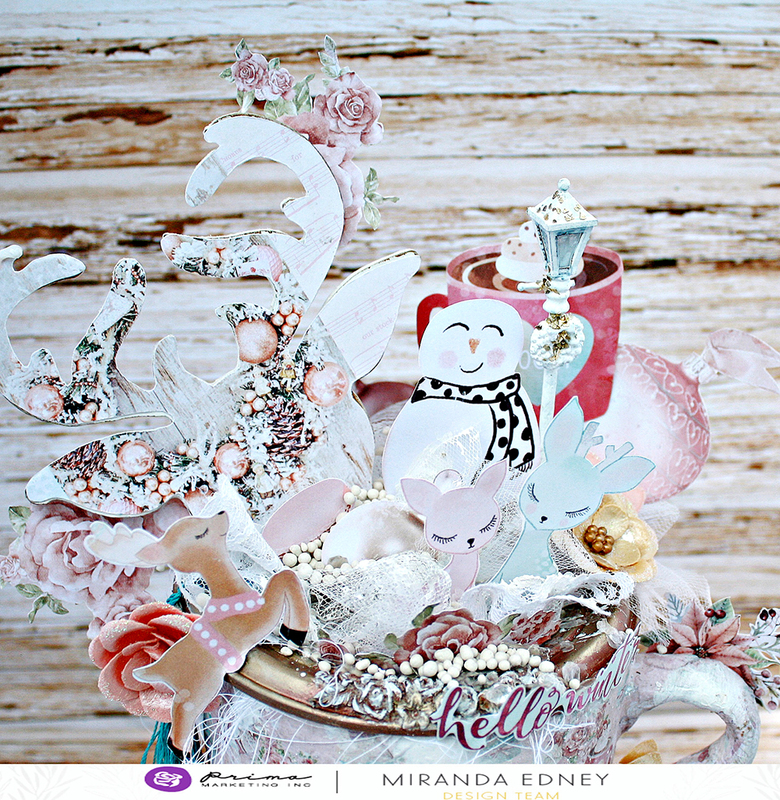 How gorgeous is this layout by Stacey Young featuring Santa Baby FLOWERS? 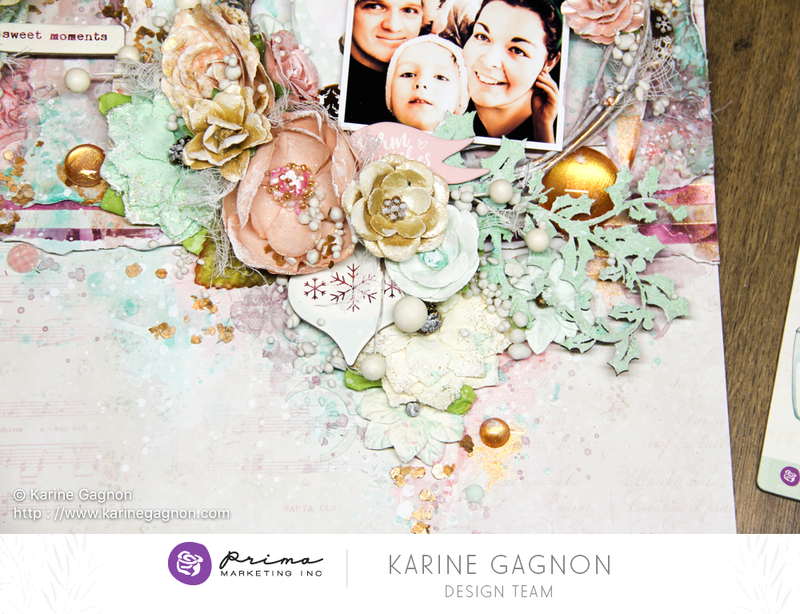 She starts with a few paper layers, then adds lots and lots of gorgeous color and texture with embellishments, Opal Magic paints, inks, and sprays...making it perfect for putting on display for everyone to see! 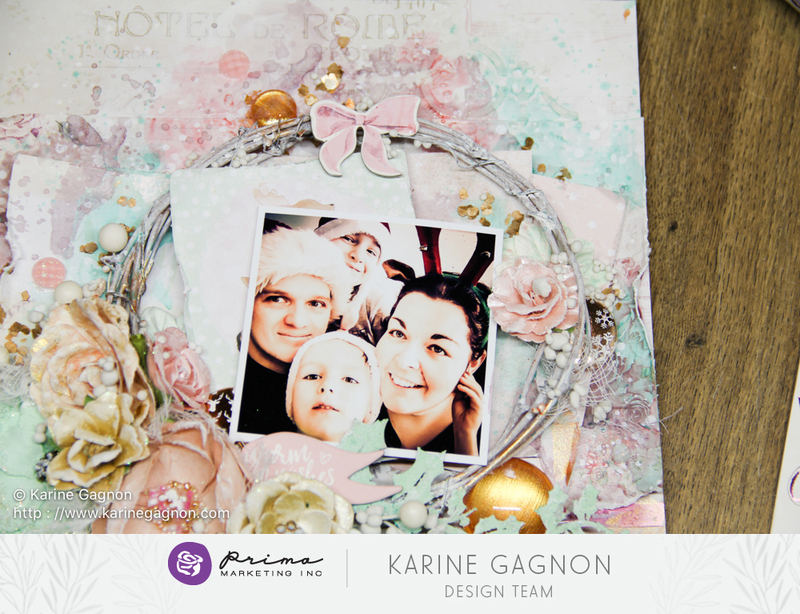 Layouts, altered pieces, cards, tags...they are all easy to create when you are playing with a gorgeous collection! 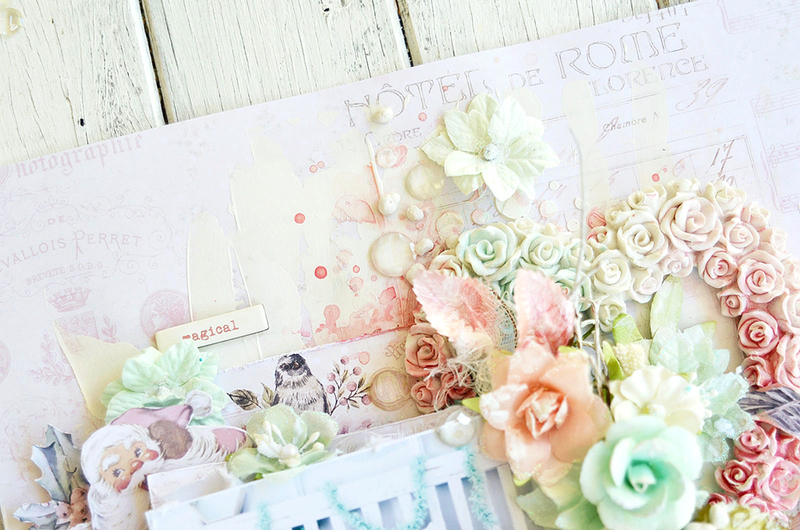 This sweet tag, by Stacey Young, highlights the amazing graphics on the papers, with a flower to top it all offf, just like a pretty present! 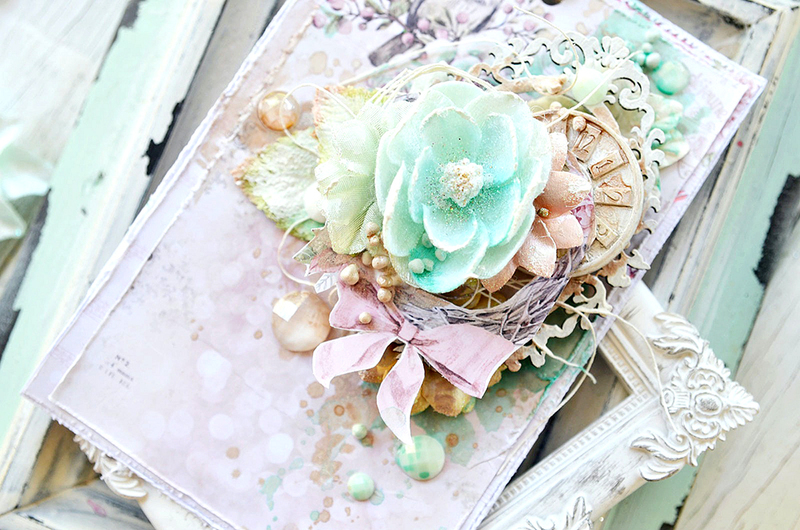 Monday- Watercolor + mixed-media = Prima beauty! Tuesday- Our Sophie PTJ meets the Havana Collection with Josephine! 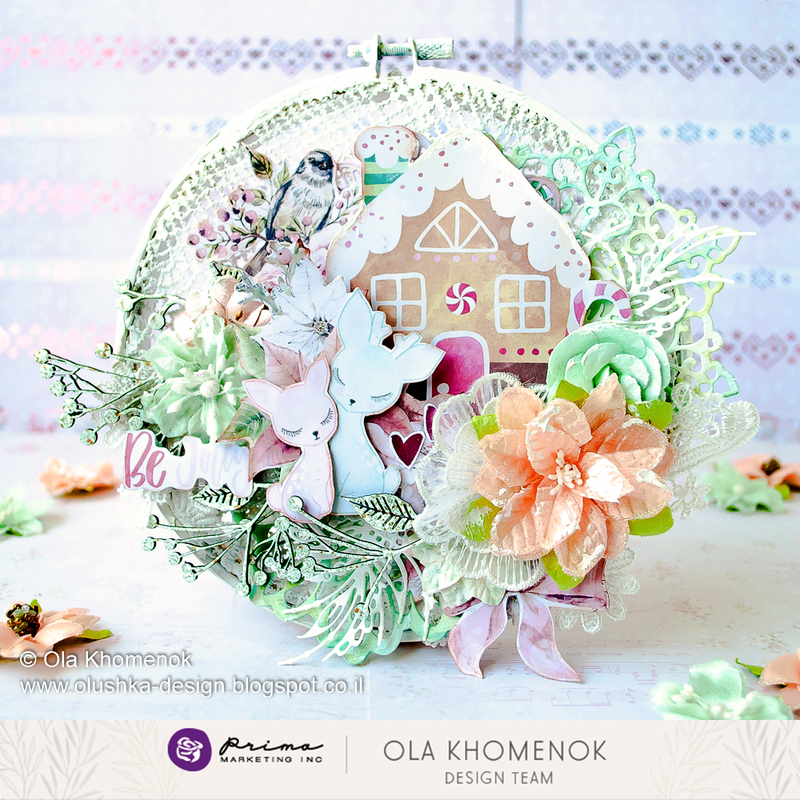 Wednesday - Merry Stamping with Julie's sweet ballerina doll!